Over the past few months, there has been a survey conducted as part of the 50th Anniversary of the Norther Premier League. 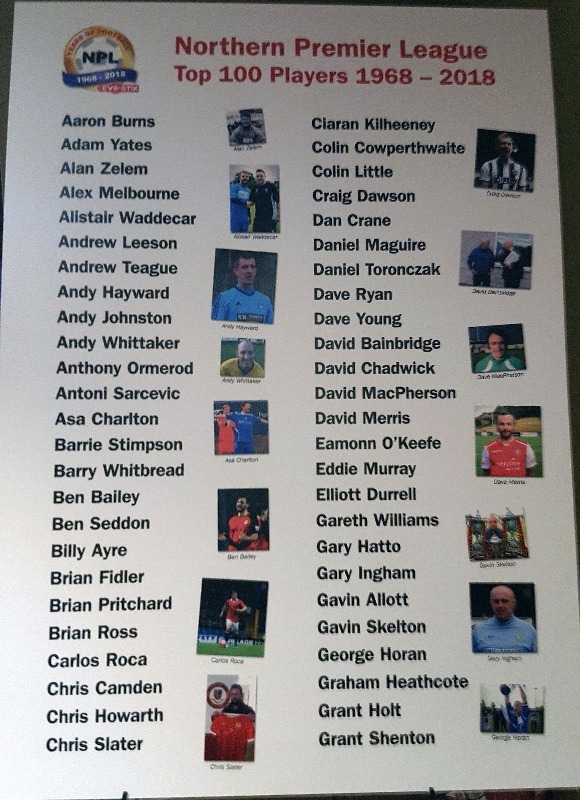 The poll was to select the top 100 players who have graced the NPL since it came into being. The results were announced during the AGM in Blackpool on Saturday afternoon. 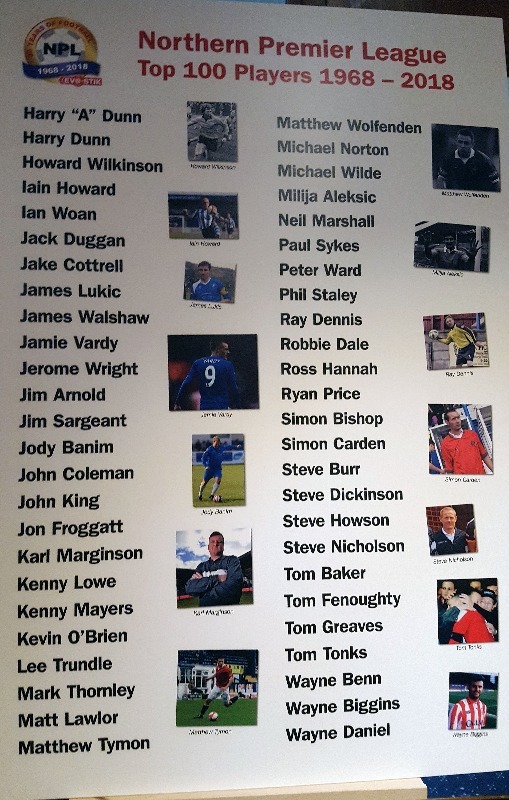 There were a number of players selected who have adorned the Red & White Stripes for Witton Albion during that time including Goalkeeper ALAN ZELEM, midfielder GRAHAM HEATHCOTE and a defender who played over 700 games for the club namely - BRIAN PRITCHARD who was placed 27th out of the 100 chosen. What an achievement that is. Incidentally, the player chosen as the best is currently in Moscow representing our country in the World Cup. Yes you've guessed it - JAMIE VARDY. WITTON ALBION PLAYERS PLACINGS IN THE 100. There are quite a considerable number of players who you would've thought were certain to be included but weren't. I will put the full list this afternoon after the painting session . there so many players missing off that list from a lot of clubs, not just ours, for it to be meaningless. Sorry its pants ! I didn't know it was poll based .When did this happen ? Over the past few months of the season.